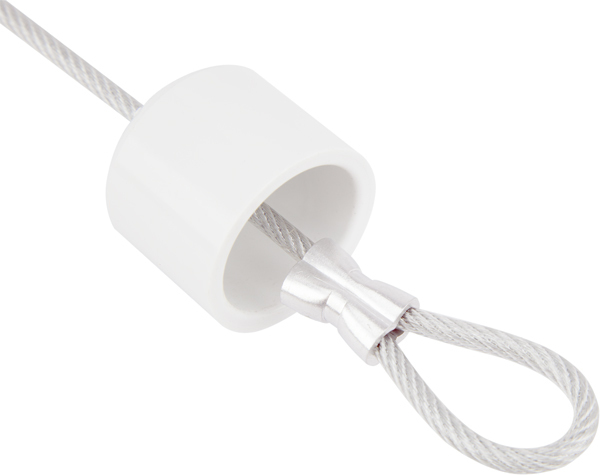 Dor-Stopz is just like a standard tether, except with a PVC end-cap at one end. Toss the cap end under a closed door. Makes almost any closed door a tether point! This provides a convenient alternative to installing an eye-bolt in your wall or connecting the tether to a furniture leg. Dor-Stopz regular gauge comes in 4- and 5-foot lengths. The Teenie Dor-Stopz comes in 4-foot lengths only! 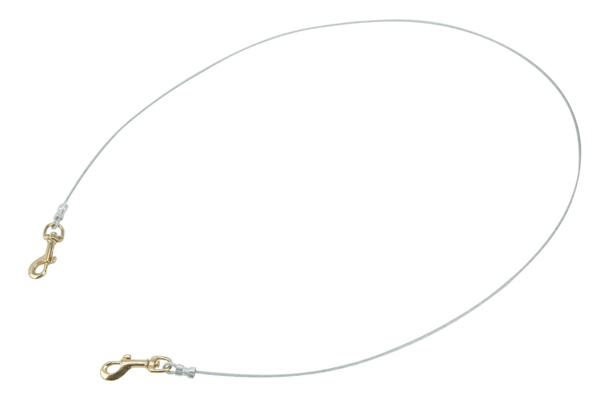 Pet Tethers are for indoor use as an aid in training and canine behavior management. 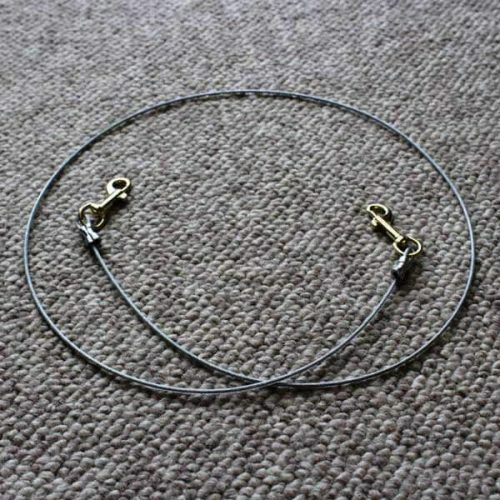 Your dog MUST be under your close supervision at all times; never leave a tethered dog alone for ANY length of time, as serious injury may result. Pet Tethers may be used outdoors to manage your dog’s behavior while actively engaged with a responsible adult handler in training; NEVER leave a dog tethered outdoors alone for any reason, for any length of time, or serious injury may result.